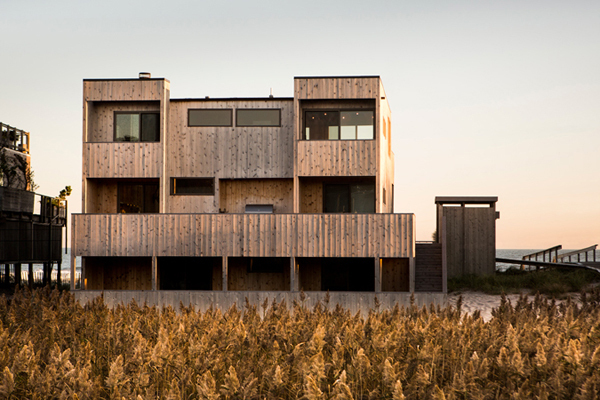 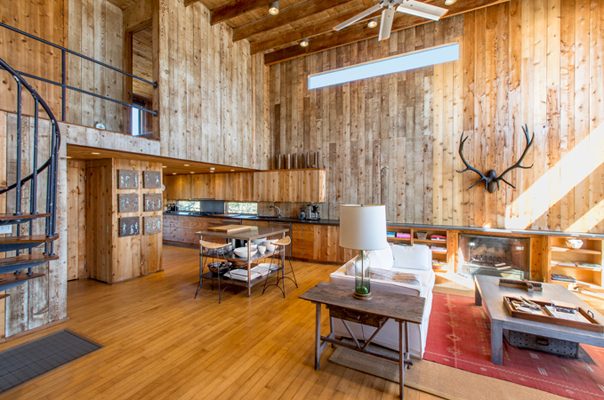 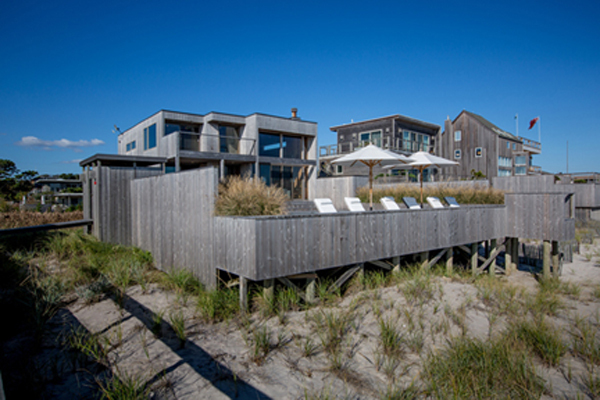 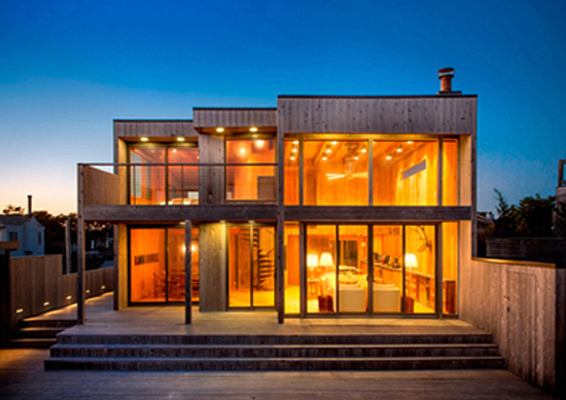 A renovation to this Fire Island retreat, located adjacent to sand dunes and facing the Atlantic, accentuates the relationship between the house’s volumes and its exterior spaces. 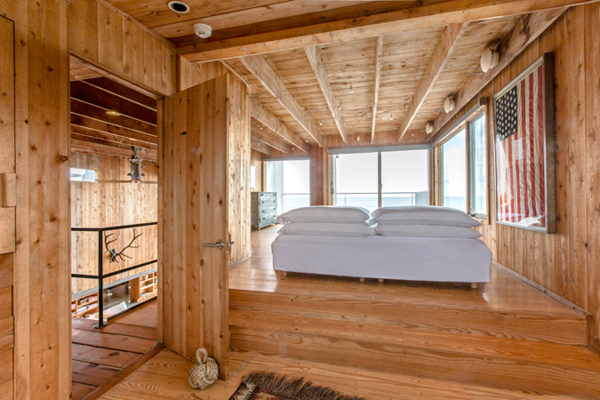 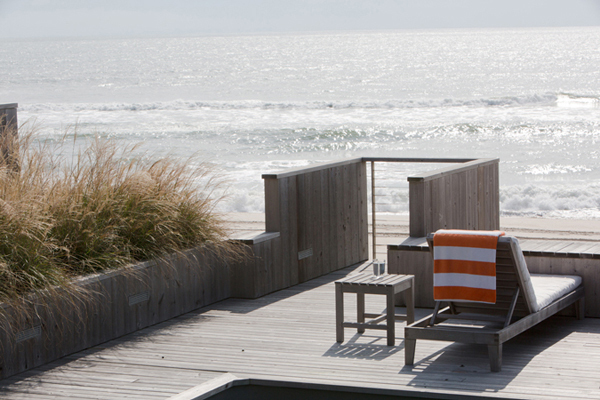 The new decks correlate to simplified and upgraded interior spaces, and focus on maximizing views toward the ocean. 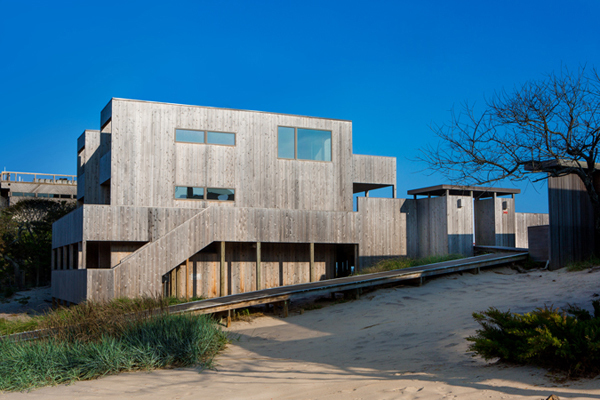 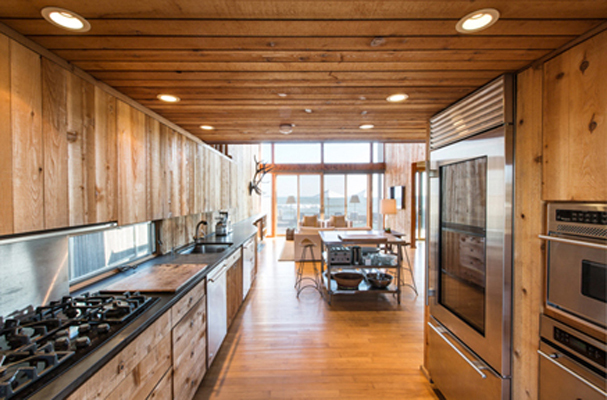 By responding to the original form and function of the original house, the new design provides privacy from beach go-ers and neighbors, while simultaneously allowing plentiful sunlight into the interior.